What are your Revive Naturopathic doctors in Clayton Heights, Surrey drinking this summer to cool down? 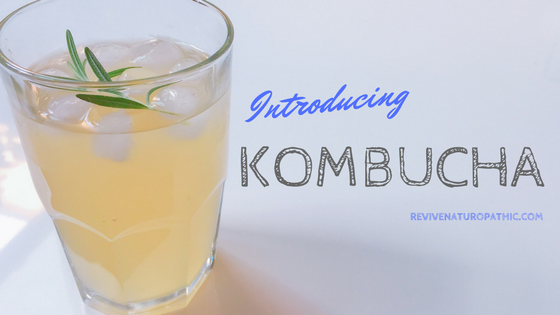 It’s a health-promoting, fermented fizzy beverage called kombucha! You’ve probably seen bottles of kombucha being sold at your local grocery store or café. Or perhaps, you’ve heard a friend raving about a favourite brand of kombucha or talking about brewing their own at home. Kombucha has been around for centuries and was once a fad with hippies in the 70s, but only recently has its popularity soared so high that it’s become mainstream. Kombucha is a fermented carbonated beverage made from sweetened green or black tea using a “scoby” (symbiotic colony of bacteria and yeast). The scoby eats the sugar and converts it into beneficial probiotics, organic acids, and B vitamins. What results is a fizzy, slightly sweet and tangy beverage that may have fruit, herbs, or other natural flavours added to it. As with most fermented food, kombucha is rich in dietary probiotics, which can help improve digestion. So for people who are generally well, a healthy dose of good bacteria from fermented food is beneficial for your digestive tract and gut flora. Kombucha is also high in antioxidants, which can aid in increasing energy levels and boosting immunity. 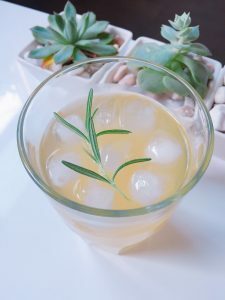 So if you’re looking for a healthy refreshing drink for the summer, try a glass of kombucha! A few things to keep in mind if you’re brewing your own kombucha: make sure you follow sterile procedures to avoid contamination. Also, be aware that over-fermented kombucha may contain low levels of alcohol. Therefore, anyone with a compromised immune system should avoid drinking it. If you have any questions or to learn more on how to improve your diet and health, contact the friendly and knowledgeable doctors at Revive Naturopathic today at 604-576-5889 or doctors@revivenaturopathic.com!